I bet most of you didn’t know there are several different forms and levels of content or copy editing, some of which require different skills from others. Hint – proofreading is not the same as copy editing. You might wish to hire an editor, but all you can afford is a reviewer, and you didn’t know the difference. You might want “a pair of fresh eyes” to review a project on which you’ve been working SO HARD that you no longer can see errors in logic, construction, spelling, or grammar and word usage. You might have composed a document that is critical to your success, and it must be perfect. You might wish to become a professional editor. Note: my comments relate to business documents, as well as to manuscripts for the performing and literary arts. So a “plot” might refer to a play. The corresponding words “goal,” “theme,” or “purpose” might be more applicable to a written proposal or training manual. In this case, an editor reads your document or manuscript and prepares an overview or critique. You can request varying levels of analysis/price points, depending on the nature and length of your project. What Does A Review/Critique/Editor’s Memo Cover? the effectiveness of the writing style. It is wise to have a review before you complete a draft that you submit to a copyeditor for any kind of editing. A line edit does not address sentence-by-sentence spelling and grammar issues, contrary to what the name implies. Instead, it addresses the creative content and use of language and style in sentences and paragraphs. Is the meaning of your language clear? Do the language and concepts flow easily into each new paragraph or chapter? Is your style “choppy?” “Fluid?” Consistently formal or informal? Do you use too many “voices” as if the words were written in different times and places or by different people? Did you use language that is easy for your intended audience to understand? What tone and ambience do your words convey? Is the style you are using authentic as relates to any characters you are portraying? The use of colloquialisms is appropriate for dialogue in a play; it is inappropriate in a business proposal. Also, make sure the dialect and dialogue you are using match how your book or play’s characters actually would think and speak, based on each character’s age, regional background, life experience, etc.. ALWAYS conduct line editing before copy editing! You need to ensure your basic concepts are viable before you spend time or money refining the words you use to execute those concepts. Copy editing involves ‘using a mental magnifying glass’ to check for mistakes, inconsistencies, and repetition while correcting an author’s manuscript. The copy editor is not just a “spell-checker.” If you have created a document via word processing (versus hand-writing), you should use the spell check feature BEFORE you submit your manuscript to an editor. If possible, also use a grammar checker, although I find they often do not account for context, so they are imperfect. However, by using one, you may have corrected most mistakes before you submit work to a copy editor, thereby saving everyone time and money. The goal of a copy edit is to have a “clean copy” of the manuscript. The copy editor gives scrupulous attention to technical details which need correcting and ensures the writing meets industry standards. Did you write the date as 12/18/18 in one place and as 12-18-18, or December 18, 2018, in another? Did you spell the same name differently on different pages (e.g., theatre and theater)? Did you double space in some places and single space in others? Are all your headings and subheadings consistent in style and size of the font, and is the formatting the same (center or left justification, etc.)? Does your manuscript mention that the protagonist couple is getting married now, but you forgot to mention that one of them got divorced first? Do your characters stay true to your description of them throughout the story? Would a person, having the personality and attributes that you have given him or her, really do the things you now have them doing late in the story? If anything seems highly inconsistent, you must have a plausible, underlying motive for the character, or people will discount the story and you as being inauthentic. Fact-checking is a hugely time-consuming but required task for non-fiction manuscripts, documentary topics, exposés, and memoirs. It is a factor in choosing whether to hire someone else to do the work or to double-check the assertions and statements of fact in your document. If you’re mentioning real people and real events, it is important to know that your manuscript does not libel others and subject you to lawsuits. You also must abide by text and image use copyright laws to avoid liability. For example: do not use Google Images without ensuring that they are in the public domain or that you have met the copyright provisions, which may include paying for the use of an image (photo or illustration). As you can see, the copy editing process involves a lot more time and complexity than you had imagined. That’s why people hire a professional to do it and why they pay for such services. What are some other kinds of editing? This is a super-detailed, technical verification function which is critical to scientific, historic, and other non-fiction works, but also relates to all projects that have references and citations. It involves checking related parts of the manuscript against each other. Correlation editing includes ensuring that cross-references, such as pages, tables of content, footnotes, references, indices, glossaries, tables, charts, maps, captions, endnotes, subheads are correct. The correlation editor must validate all citations in the text with those in the references, plus all titles and authors with those in the table of contents. Editing a large manuscript with technical or historical content can be a daunting task. It requires utilizing someone who is excellent at work involving detail and the ability to spot variations or aberrations. This kind of editing prepares the document for a designer’s work which needs to be done before printing. It involves marking or coding the manuscript to designate which parts of the text are heads, tables, footnote references. From a professional publishing standpoint, proofreading is correcting a print-ready document from the publisher. The professional proofreader corrects a final copy of the manuscript (also called a “proof”) before multiple copies are made for distribution and sale. The proofreader’s job is to check for quality before the book goes into mass production. To the layman, “proofreading” is the term used for checking an author’s spelling, grammar, word usage, and other points as a draft is being finalized for submission to an employer, agent, or publisher. The proofreader may not even make corrections, but might simply mark the errors. This involves correcting misspellings, grammar, misused words, figures that are inaccurate in charts and tables, incorrect dates, and omitted or repeated words. Style editors attempt to make a manuscript comport with a consistent style of writing. There is no “right or wrong,” but consistency is the goal. You can find guidelines in manuals, such as that published by the Associated Press. Click Here for the link to an AP Style Manual. 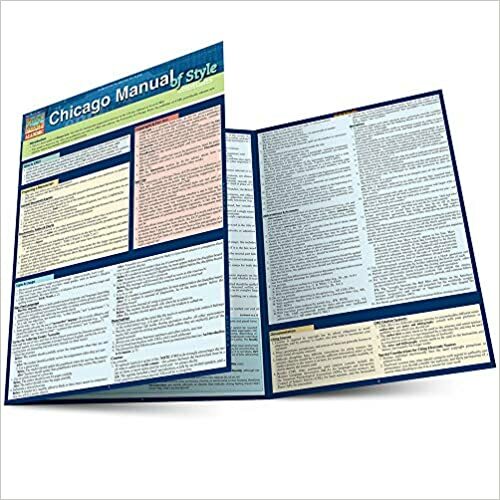 This manual is updated each Spring and includes standardizing words in heads, titles in bibliographies, use of single or double quote marks, serial commas, numbers, acronyms, compound words, extracts, italics, note numbers, documentation style, references style, and illustrations. 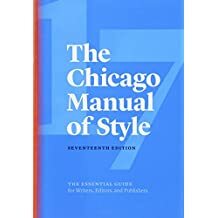 Another frequently used source is The Chicago Manual of Style. It also produces a Quick Study guide. “Content” and “Substantive” are interchangeable terms in the context of editing. They involve improving logic and clarity and addressing larger problems of structure and organization. This is how it is described in an excellent article by Natasa at https://nybookeditors.com/2015/01/copyediting-vs-line-editing/. I suggest you read her blogs about this and other topics related to writing and editing. I write in many “voices,” depending on the kind of project it is. I do business, personal, technical, and performing arts pieces. See the REAL My Persuasive Presentations, LLC Home Page for a list of varied offerings or click on these specialized links. the work can be done and transmitted online for the most part. I hope this has been helpful to you. Feel free to take advantage of my free initial consultation to see how best I can meet your needs.